This guide will serve as an introduction to the common legal issues Alzheimer’s patients and their families run into, as well as some strategies for dealing with these issues. Starting with the initial steps you should take after receiving a diagnosis, this guide gives you an overview of what you need to know about long-range financial planning, safe driving, your options for finding long-term care (including nursing home care), and your options for paying for care. Keep in mind, not everyone has to deal with all of these issues. And, no matter which concerns you and your family face, you likely won’t have to deal with everything at once. The best way to use this guide is to familiarize yourself with the range of issues you’ll need to be aware of, and to prepare yourself for talking to an experienced estate planning and elder law attorney. You’ll want to enlist the help of an attorney to review your particular circumstances and make sure that you comply with the law while preserving your assets for your family. With Alzheimer’s, as in all areas of life, knowledge is power. Your absolute first step after receiving a diagnosis is to find out as much as you can about the disease and your treatment options. Your next step should be to take care of some basic legal planning. Over time, Alzheimer’s robs you of your ability to manage your own personal, financial, and medical affairs. Because of this, your top priority should be to make sure you have an incapacity plan in place. Your incapacity plan allows you to authorize someone you know and trust – like your spouse, your adult child, or a close friend – to make important financial and health care decisions for you. If you already have an incapacity plan in place, now is the time to review it and make sure it still expresses your wishes. If you do not have an incapacity plan, it is important to put one in place as soon as possible, while you’re still able to make your own legal decisions. Either way, an experienced estate planning and elder law attorney can help make sure your plan is complete, effective, and in compliance with current legal requirements. Durable Power of Attorney: With a Durable Power of Attorney, your loved one chooses a trusted individual to serve as his or her “agent” or “attorney-in-fact.” This person has the authority to manage your loved one’s financial and legal affairs according to instructions and limits specified within the power of attorney document. There are many sources for Powers of Attorney and many are inadequate or incomplete. To best plan for as many contingencies as possible, it is prudent to consult with and have this critical document drafted by an experienced and qualified elder law attorney. Bare bones powers of attorney only provide bare bones protection. Advance Health Care Directive: This document, sometimes called a Durable Power of Attorney for Healthcare, allows your loved one to select a trusted individual to communicate with his or her doctors and make medical decisions on his or her behalf in case your loved one is unable to make these decisions on his or her own It also allows for one to set forth wishes concerning end of life care. This document lets doctors and loved ones know whether or not life support should be withdrawn if there is a terminal illness. Additional Documents: The foregoing documents are just the foundation for an incapacity plan. As we will discuss, in almost all cases, they should be supplemented with additional legal documents. The best way to ascertain which documents are best for your loved ones is to consult with an experienced and qualified estate planning and elder law attorney. Without an incapacity plan, life could become complicated for you and your family. Depending on the way your disease progresses, you may become unable to handle your own financial or healthcare decisions. Without an incapacity plan, you would need a court-appointed conservator to manage your medical and personal affairs and to manage your financial affairs. that the person who has made the request to serve as your conservator is qualified to manage your affairs. If more than one person petitions the court to serve as your conservator, the judge must decide who is best qualified. Not only can this process be expensive and time-consuming, it also opens the door for family conflict and may be emotionally traumatic at a time that is already difficult. After a judge appoints a conservator, the court remains involved in your life. The person appointed to make decisions on your behalf must make periodic reports to the judge. Your conservator may also be required to seek the judge’s permission before making important decisions, such as large financial expenditures. You can avoid the need for a conservator. With an effective incapacity plan, you can express your wishes concerning your personal, medical, and financial affairs; you can put people you trust in charge of making decisions for you; and you can eliminate the court’s involvement in your personal matters. After you have taken the crucial first step of putting an incapacity plan in place, you’ll want to discuss additional planning with your attorney. An experienced and qualified estate planning and elder law attorney can help you think through the challenges you’re likely to face as an Alzheimer’s patient, and structure a plan that provides for your needs while ensuring that your assets are preserved for your spouse and loved ones. Any time you experience a major life change, you should consult with your estate planning and elder law attorney to review your Will, Trust, beneficiary designations, and the other components of your estate plan, if you have one in place or create one if you haven’t done any estate planning. A diagnosis of Alzheimer’s certainly qualifies as a major life change. Now is the time to not only make sure that your estate plan still reflects your wishes, but also that it fits with the financial and long-term care planning you are likely to do in light of your diagnosis. Your attorney will guide you in evaluating your needs, wishes, and goals and will help to ensure your estate plan fits your changed circumstances. Your attorney will also likely ask you questions about what real estate you own and how that property is titled. This review of property titles is important. Making a few simple changes now can ease transitions and protect you and your family in the future. However, you should not transfer any property or make any substantial gifts of assets without consulting an experienced and qualified estate planning and elder law attorney. A nursing home stay or other forms of long-term care are real possibilities for many Alzheimer’s patients, and finding ways to pay for long-term care is usually a concern. Depending on your individual needs, qualifying for government benefits in conjunction with a structured gifting program might be appropriate. However, under the wrong circumstances, gifting your assets can result in serious legal consequences, including delaying your eligibility for benefits. Driving can be a sensitive subject for Alzheimer’s patients and their families. We live in a culture where the ability to drive represents freedom. When you are facing a disease that threatens to take away so much of your identity and control over your life, the last thing you want to do is hand over the keys to your car. According to American Psychiatric Association (APA) Guidelines, even these signs of mild impairment indicate that an Alzheimer’s patient poses an unacceptable risk on the road. Studies have also shown that Alzheimer’s patients, particularly those in later stages of the disease, are twice as likely to cause or be involved in a motor vehicle accident as drivers of the same age without the disease. Often, it is the family members of Alzheimer’s patients, rather than the patients themselves, who are the first to notice signs of difficulty behind the wheel. If your loved ones express concerns about your ability to drive, listen to them. They may see evidence of memory loss, impaired judgment, and shortened attention span – signs that the disease prevents you from seeing for yourself. No one likes the thought of handing over their car keys, but the last thing you want to do is cause an accident and hurt yourself or someone else. Aside from the guilt and regret, think of the legal and financial problems such a situation could cause for you and your family. Alzheimer’s is a progressive illness. As you advance through the stages of the disease, the level of care you need increases. Now is the time to think about the changes in living arrangements you may need. In the early stages, you may be able to continue living independently at home, with help from family members or home health aides. However, as the disease progresses, your needs might include adult day care, an assisted living facility, nursing home care, or a combination assisted living facility/nursing home for you or your spouse. Adult day care is a supervised program you attend during the day, and then you return home at night. Many families find that adult day care programs allow them to balance work and childcare responsibilities, while keeping their loved one with Alzheimer’s at home for as long as possible. If family members are helping to care for you at home as your disease progresses, respite care may also prove to be a valuable resource. Respite care programs provide “time off” for family members or others. Under a respite care program, a substitute caregiver may come to your home to help care for you for a short period of time. Alternatively, you might have a short stay in a nursing home/assisted living facility while your usual family caregivers take a needed respite to enable them to better care for you upon your return. An assisted living facility is a long-term living arrangement that offers residents as much independence as they want, while providing staff to help with basic activities of daily living such as bathing, dressing, and grooming. While assisted living facilities don’t offer medical care to their residents, some states allow them to offer medication reminders and assistance. A nursing home is similar to an assisted living facility in that it has staff to help residents who need help with the activities of daily living. However, nursing homes are geared toward residents who need much more consistent and structured help, and who also need the availability of around the clock nursing care. If you do someday need nursing home care, it is important for you and your family members to understand that nursing home residents have legal rights. Each nursing home resident has the right to personal and appropriate care, as guided by the resident’s care plan. When you enter a nursing home, you, the nursing home staff, and anyone else you want to involve will create a contract. This contract is called a “care plan.” Ideally, this plan does a number of things to help ensure you get the best possible care during your nursing home stay. Your care plan should spell out your current medical needs, as well as your psychological and social needs. It should also detail what steps will be taken to maintain your health in these three areas and, when possible, to improve it. This plan is a legally binding contract; therefore, it is a good idea to seek the assistance of an experienced estate planning and elder law attorney before entering into it. Alzheimer’s is an expensive disease. According to the Lewin Group, the combined 2015 payments for healthcare, long-term care and hospice care for Alzheimer’s and dementia patients are estimated at $226 billion. By 2050, they are expected to increase to $1.1 trillion. According to the Alzheimer’s Association, a more than 50% of residents living in a nursing home have Alzheimer’s or another form of dementia. 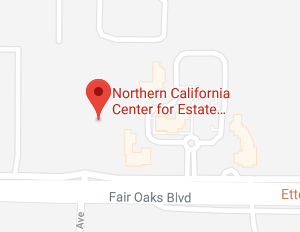 In California, the average annual cost of a semi-private room in a nursing home is over $100,000 in 2018. Many people can’t afford to pay out-of-pocket for long-term care. Others worry about depleting their savings and leaving their families impoverished. Fortunately, there are a number of strategies for paying for care. This guide discusses the most common approaches. Your estate planning and elder law attorney can talk to you about all of the options available to you and your family. When considering long-term care, the first thing you should do is to review the provisions of any long-term care insurance policies you own. Check to see whether Alzheimer’s is covered. If it is, review the types of care covered by the policy, as well as when you can begin collecting benefits. Above all, if Alzheimer’s is covered, do not let the policy lapse. If you do not have long-term care insurance, an Alzheimer’s diagnosis will likely disqualify you from buying it. However, you might want to consider purchasing it for your spouse. Medicare is federally funded health insurance for people age 65 or older or on Social Security Disability for at least two years. The program covers a range of hospital and other medical bills. Under some circumstances, it pays for short-term skilled nursing care and rehabilitation services. However, Medicare does not cover extended stays in nursing homes or other long-term care. Unlike Medicare, the Medi-Cal program covers some costs – such as those for assistance with cooking, laundry, light housekeeping, and bathing – while an eligible patient is still at home. Medi-Cal also covers nursing home care. Medi-Cal is a joint federal-state program, which means that the rules for qualification can vary from state to state. Perhaps one of the biggest misconceptions about Medi-Cal is that you have to impoverish yourself and your family before you can qualify for nursing home coverage. While there are strict Medi-Cal eligibility requirements, including caps on income and assets, you do not need to impoverish yourself completely in order to receive Medi-Cal benefits for nursing home care. Medi-Cal planning, when done properly, is a legal and ethical way to qualify for benefits while retaining your family’s financial security. Qualifying for Medi-Cal is similar to filing a particularly complicated tax return. It is a complicated process with forms that must be filled out accurately and completely. In addition, there are rules you must follow and numerous steps you can take to maximize your ability to qualify for coverage. Incomplete forms and other errors can delay your application or jeopardize your benefit payments. Just as you would enlist the help of a tax specialist when completing a complicated tax return, so should you consult an experienced and qualified estate planning and elder law attorney to help you with Medi-Cal planning. Before you qualify for Medi-Cal benefits, you are expected to pay as much as you can toward the cost of your long-term care. With proper Medi-Cal planning, you can often preserve many of your assets. Any planning, even last minute planning, is helpful. However, the farther in advance you can plan, the more options you will have. Here is how the Medi-Cal planning process works. One home (as long as it is your primary residence. One personal vehicle (used for medical visit transportation). Your personal belongings, furniture, and other household goods. A life insurance policy with a face value of $1,500 or less. After your exempt assets are deducted from the total, you are left with non-exempt, or “countable,” assets. These assets are included in the calculations used to measure your net worth against Medi-Cal eligibility limits. They include checking and savings accounts, stocks, bonds, and mutual funds. Married couples go through a process called division of assets to ensure that the healthy spouse (called the “community spouse”) does not live in poverty while the spouse with Alzheimer’s lives in a nursing home. Typically, your spouse keeps his or her half of the assets, up to a maximum of $123,600 in 2018. The institutionalized spouse can have assets of no more than $2,0oo. As in other areas of Medi-Cal planning, it is important to think through your spend-down plan in advance. Your estate planning and elder law attorney can help you coordinate it with your Medi-Cal application before you move into a nursing home or make other arrangements. Part of Medi-Cal planning may involve giving away some of your assets; however, this has to be done with extreme caution. There are tough penalties for simply giving away your assets to meet the eligibility requirements. In 2018, for every $8,841 of assets that you give away within thirty months prior to applying for Medi-Cal (the “look-back period”) will make you ineligible for one month in California. Because the rules are strict and the penalties are harsh, it is critical that you seek the advice of an experienced and qualified estate planning and elder law attorney before you attempt to give away any assets. There are additional rules concerning income for nursing home residents on Medi-Cal. Typically they are allowed to keep only $35 per month. If you are married, and you are going into the nursing home, your spouse is allowed to keep his or her income each month but, your income, except for $35 per month, pays for your nursing home care. If your spouse’s needs exceed his or her income, then part of your income may be used to make up the difference. Although the basic rules can paint a bleak picture, with proper planning many people are able to have Medi-Cal pay for nursing home care, while keeping a substantial amount of their income and assets. In reading this guide, you’ve gotten an overview of a number of legal issues that Alzheimer’s patients and their families typically deal with. You’ve read about incapacity planning, estate planning, and safe driving, as well as finding and paying for long-term care. These can be overwhelming topics. You’re likely already assembling a team of family, friends, doctors, and others to help you adapt to life with Alzheimer’s. Now is the time to add an experienced and qualified estate planning and elder law attorney to that team. He or she can help you understand how the issues apply to your unique situation, and help to ensure you make the very most of the resources available to you.